Currently the Air Cadet Organisation is the single largest facilitator of young people entering into the Duke of Edinburgh’s Award Scheme. 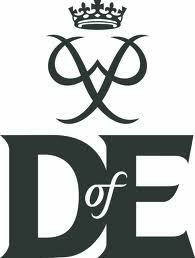 A leading youth Charity, the DofE gives all young people the chance to develop skills for work and life, fulfil their potential and have a brighter future. You can do programmes at three levels, which when completed, lead to a Bronze, Silver or Gold Duke of Edinburgh’s Award. You achieve your Award by completing a personal programme of activities in four sections (five if you’re going for Gold) – Volunteering, Physical, Skills, Expedition and for Gold, a Residential. You’ll find yourself helping people or the community, getting fitter,developing skills, going on an expedition and taking part in a residential activity (Gold only). If you need any further information, talk to one of our members of staff or, if you’re not sure you can do your DofE, get in touch and we’ll be able to help you! If you’re decided to do your DofE, then find out more info on getting started, choosing your activities and how to complete your DofE and achieve your Award! If you’re still not sure, take a look at why other people think you should do it! The Squadron now participates in e-DofE. Click here to learn more.